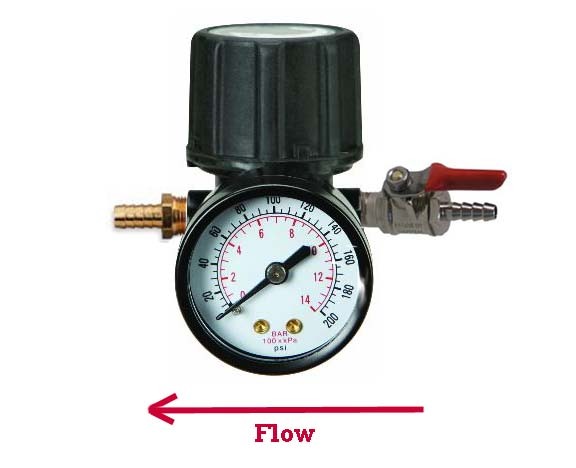 Used for easy on-off operation of product and CO2 lines. 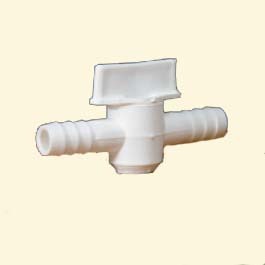 Plastic 1/4 turn in-line shut-off valve. 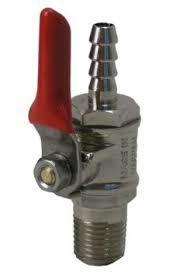 Gas Manuel Changeover Valve. 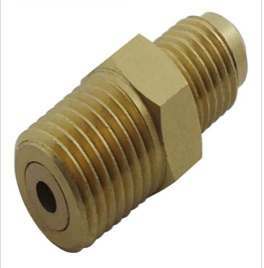 1/4” Barb or 3/8” x 1/4” Male NPT input. 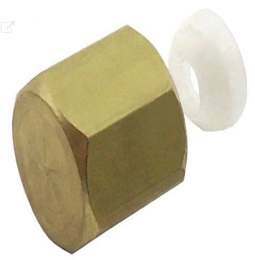 "1/4" Barbed Brass Chrome Plated Air Distributor with mounting brackets. Mounts perpendicular or horizontal to surface. 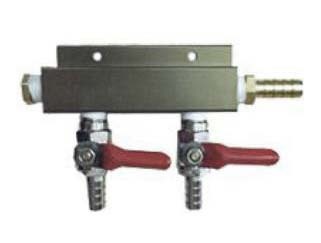 "1/4" Barbed Extruded Aluminum Body 2 Way Gas splitter 1/4â€� barb shutoffs with check valve and mounting holes. 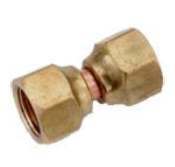 "1/4" Barbed Extruded Aluminum Body 3 Way Gas splitter 1/4” barb shutoffs with check valve. 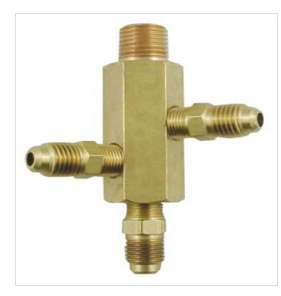 "1/4" Barbed Extruded Aluminum Body 4 Way Gas splitter 1/4” barb shutoffs with check valve and mounting holes.